Cute Ginger Cat Sleeping On Beige Chair. Fluffy Pet Dozing On Couch. Cozy Home. 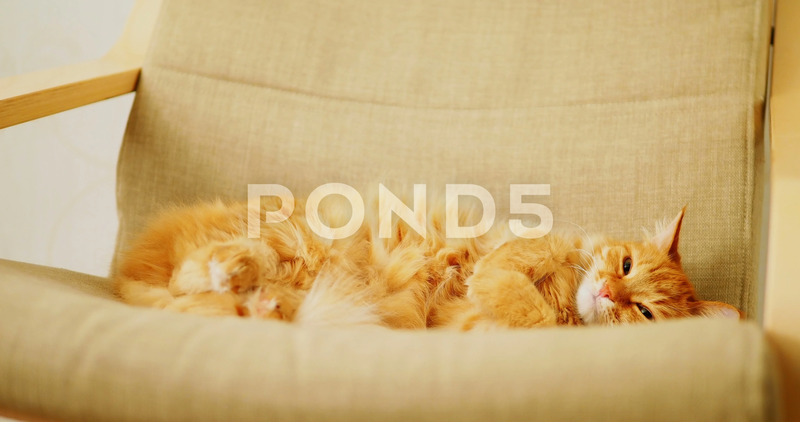 Description: Cute ginger cat sleeping on beige chair. Fluffy pet dozing on couch. Cozy home.